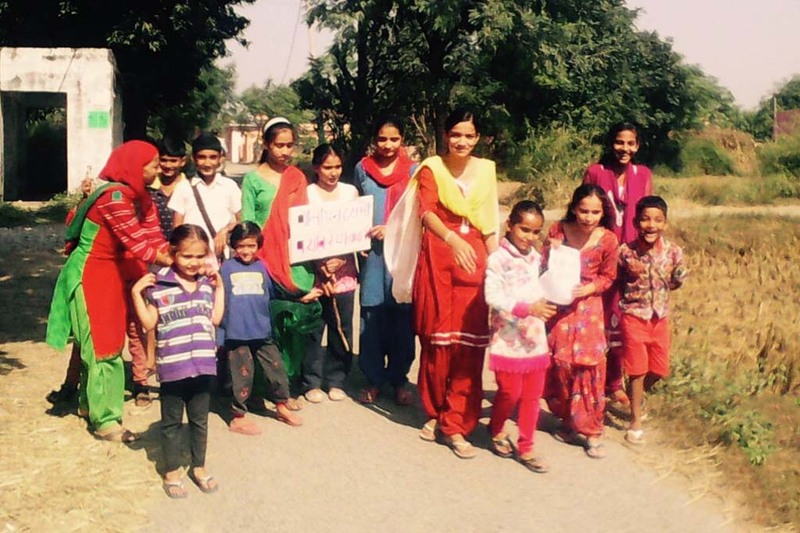 In Maira, Punjab, women and children gathered together to walk through the streets of their village and bring awareness to the current effects and future threats of plastic pollution. The level of waste plastic that collects in India is a recognized threat to our quality of life. In fact in 2013, the Central Pollution Control Board (CPCB) informed the Supreme Court that India generates 56 lakh tonnes of plastic waste every year, with Delhi accounting for a staggering 689.5 tonnes a day. About 40% of that waste becomes litter. The bench also pointed out how villages are suffering as a result of these plastic pollution levels. “We have a habit of collecting garbage from cities and dumping it in villages. Representatives of villagers have stopped being abreast with the problems arising from such dumping,” the bench said. In response to the enormity of this issue, people in Amrita SeRVe communities are figuring out ways to come together and educate others on what is actually happening. The goal is to communicate how we can bring an end to the damage plastic pollution causes in nature, and, as a result, beautify the Earth again.